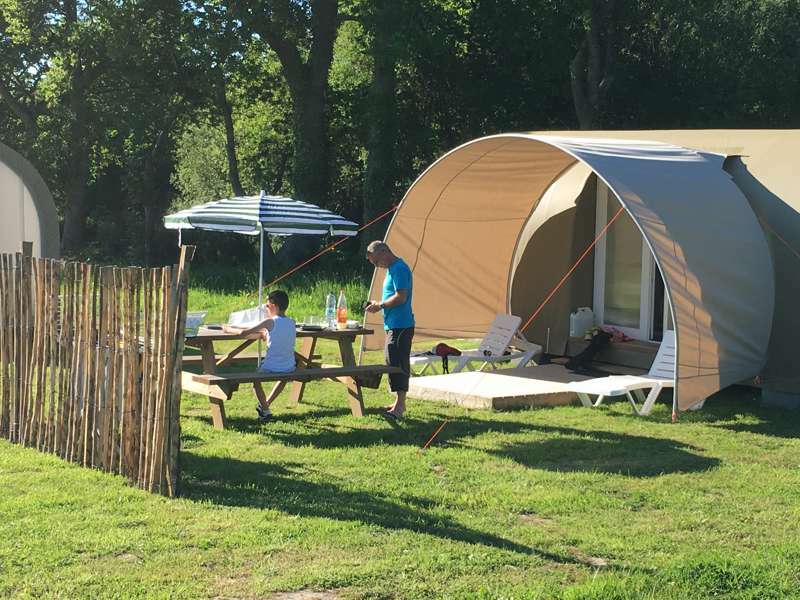 There’s something undeniably surprising about the quiet, rural feel of family-run O2 Camping in Normandy, France. It’s a 10-minute drive from the immensely popular sandy beaches of Mont St Michel Bay and almost the same to the bustling centre of Granville, one of France’s earliest seaside resorts. So initial expectations are generally of a cheap-and-cheerful holiday park that’s heavy on Brit-based fun and light on all things authentic. Thankfully, Stéphane and the Arondel family are here to prove you wrong. 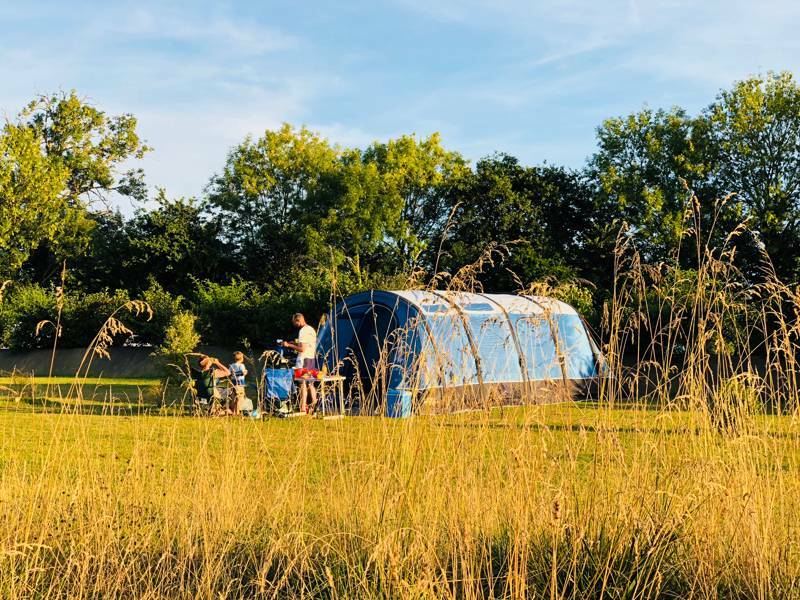 Down a narrow country road, O2 Camping is some 27 acres in size, with ample room for the diverse collection of tent, campervan and caravan pitches, along with glamping options that range from basic bell tents to up-market ‘canvas lodges’. 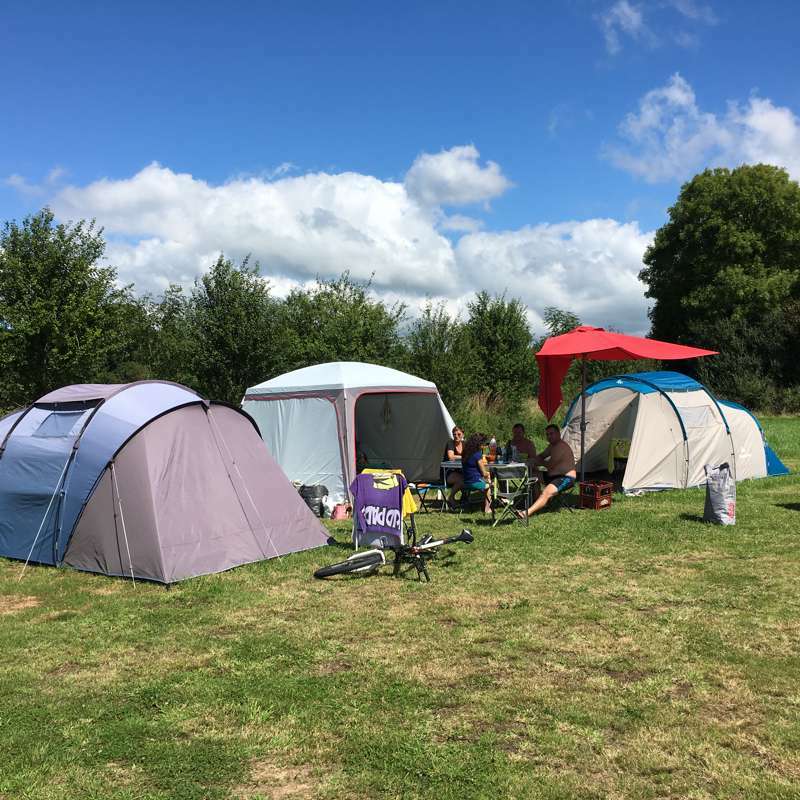 All have access to the brand new ablutions block (the campsite only opened in summer 2016), while facilities include a covered swimming pool, visiting masseurs in summer, volleyball courts and a well-stocked reception shop and bar. 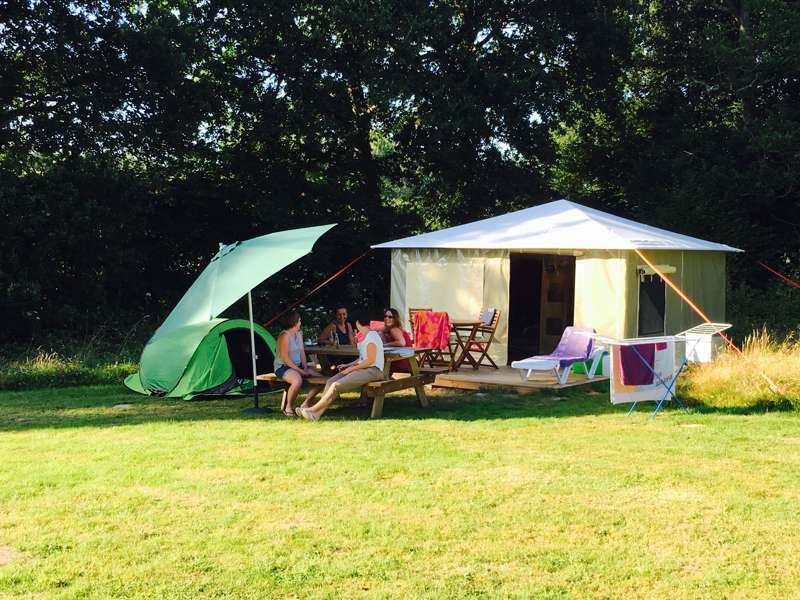 It’s not family table tennis tournaments and aqua-activities that make this campsite stand out though. 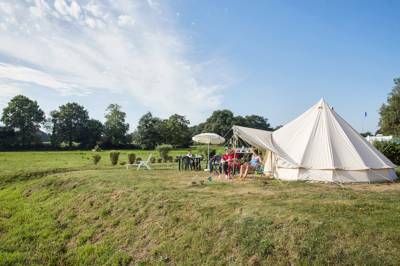 While the facilities do indeed provide all the French staples – fresh croissants in the morning and sandy pétanque pitches – it's the open, natural countryside feel of the place that makes it different from the Normandy norm. 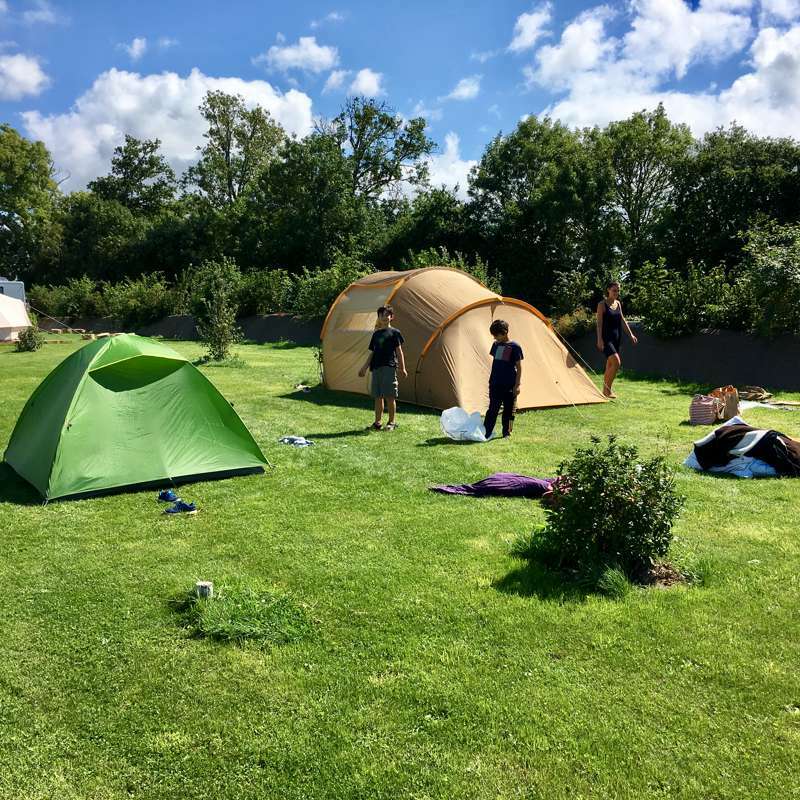 Mature trees and foliage break up the site; there are goats and chickens; a cute herb garden offers free-to-use seasonings for your barbecue; and old farm tracks and footpaths lead out into the surrounding area. It has an ideal blend of modern, man-made functionality but with a traditional, countryside feel. Off site, busy Granville remains a popular port for catching the ferry out to the Channel Islands and taking day-trips to the rocky and immensely pretty Chausey Isles, 17 kilometres from shore. The UNESCO World Heritage Site of Mont St Michel, meanwhile, is around and hour away (stay late in summer to catch the light show dancing on the medieval ramparts of the island), while Normandy’s historic D-Day beaches and memorials are a half hour further than that. You’re certainly not short of things to keep you busy. 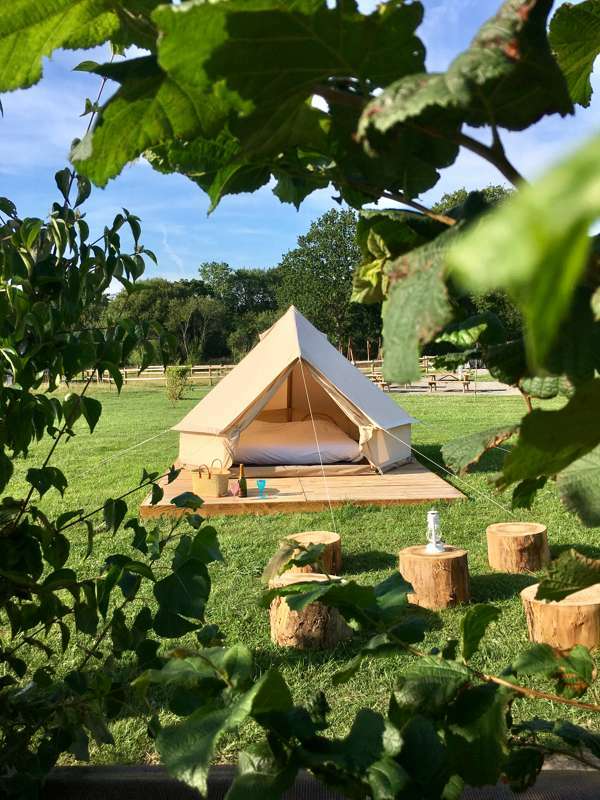 So whether it’s a dip on the beach, a tour of the trés chic Dior Museum in Granville or simply borrowing a book from the campsite library and kipping in a hammock, O2 Camping is a number one camping spot. All year (except for a few weeks during Christmas). From €17–€30 per night for 2 people and a grass pitch.